Show your love for the iconic film, Willy Wonka and the Chocolate Factory, with this Golden Ticket Tin Sign! 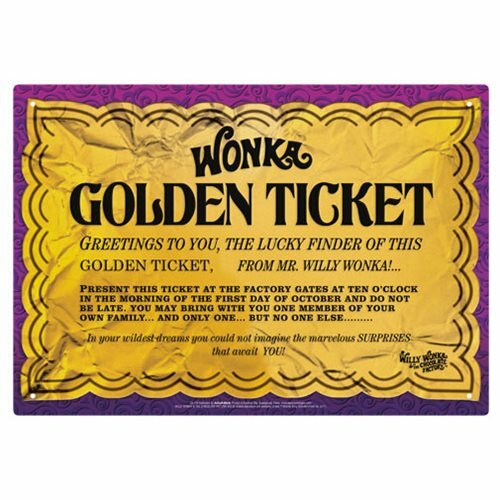 This brightly colored sign features the lucky golden ticket as seen from the film. Now you can be the lucky winner with this tin sign! Measures about 8-inches long x 11 1/2-inches tall. Ages 14 and up.